Monday through Friday, I wake up between 6:00 and 6:20 in the morning. I usually find myself hitting the snooze button a few times— I've never been great at waking up that early. Once I'm awake, it's coffee time. For Christmas last year, my dad sent over a Chemex coffee maker (thanks, dad!). 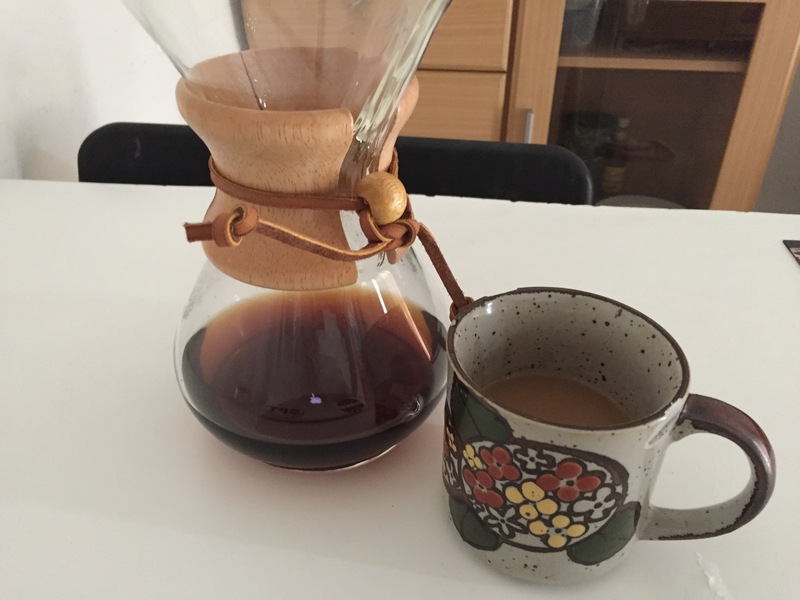 If you don't have one, I would seriously consider it— Chemex makes some of the best coffee, and it's super easy to use. Just open a filter, scoop some ground coffee into it, and add boiling water. Perfect coffee every time! I make a big pot every morning and pour it immediately in my to-go mug to bring to school. I'll sip my coffee while I get ready for school, getting dressed and preparing my breakfast and snacks to bring along with me. I'm never hungry that early in the morning, so I always prepare my breakfast beforehand and eat it at school before classes begin. It's out the door between 7:15 and 7:20 and on the motorbike with Justin as the designated driver, as always. We could walk to school, but it's nice to be able to have a few extra minutes in the morning and not be completely drenched in sweat by the time we arrive. Sometimes we even swing into the 7-Eleven on our way to school to pick up some last-minute snacks or drinks. We scan our school ID cards at the gate and greet the teachers standing in front of the school for gate duty. Once a week, Justin and I have gate duty ourselves, so we have to arrive a few minutes early to drop our bags in our offices and get to the school gate at 7:30 on the dot. If I don't have gate duty, I'll settle into my office, enjoying my breakfast and coffee while checking my email. I usually try to prepare any activities or crafts I plan to do that day beforehand so I'm not rushing around in the morning trying to finalize my lesson plans. Every Monday, Wednesday, and Friday I choose a fun story to read to my K1 students at 8:00 in the morning for about 15 minutes. Then, they're sent off to their morning flag ceremonies, while I head off to my nursery class from 8:30 to 9:00. Nursery is always a joy. This term, we're spending two weeks on one letter, starting with letter "A" and continuing in alphabetical order. We're approaching the middle of the term now, and we're only on letter "C"— slow and steady! Each class, I try to do lots of songs and dance to get the students moving and comfortable. Then, we'll play a simple game or read a story related to the letter of the week. The students in nursery range from ages 1 to 2, so it's a bit difficult keeping them still or focused for a long period of time. It's been a learning experience teaching kids this young, but I hope they're having fun and learning a little along the way. 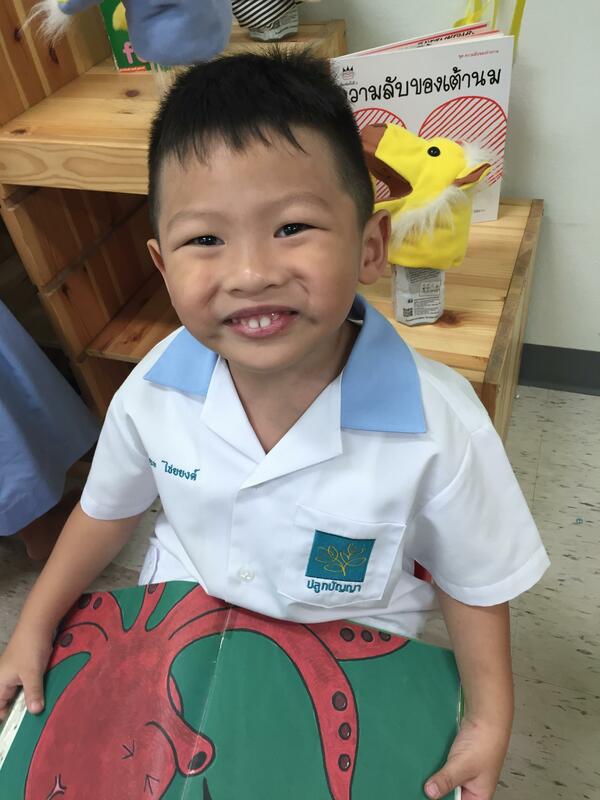 Following nursery class are my K1 classes four times a week, and then my K3 classes once a week from 9:00 to 11:00. 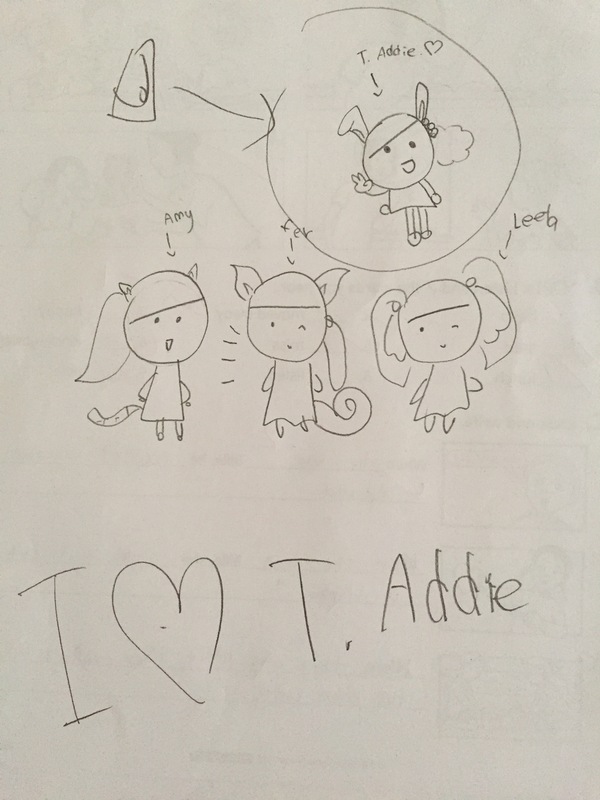 My K1 students are lovely and fun. The curriculum in kindergarten is based on "Jolly Phonics"— a UK based curriculum that covers the 42 main sounds in English. Each week, I focus on a different letter and sound with K1. The goal is for them to be able to identify the letter name and say the letter sound correctly, so I try to plan my games, activities, worksheets, and crafts with those goals in mind. I enjoy the flexibility I have in planning my lessons and having the ability to be a bit more creative. I hope the students are enjoying it, too. The K3 students are a great bunch, but since I only see them once a week, I don't know them as well as my regular K1 students. I see each of the four K3 classes for only 30 minutes, which gives me enough time to review, play a short game, or do a simple craft. 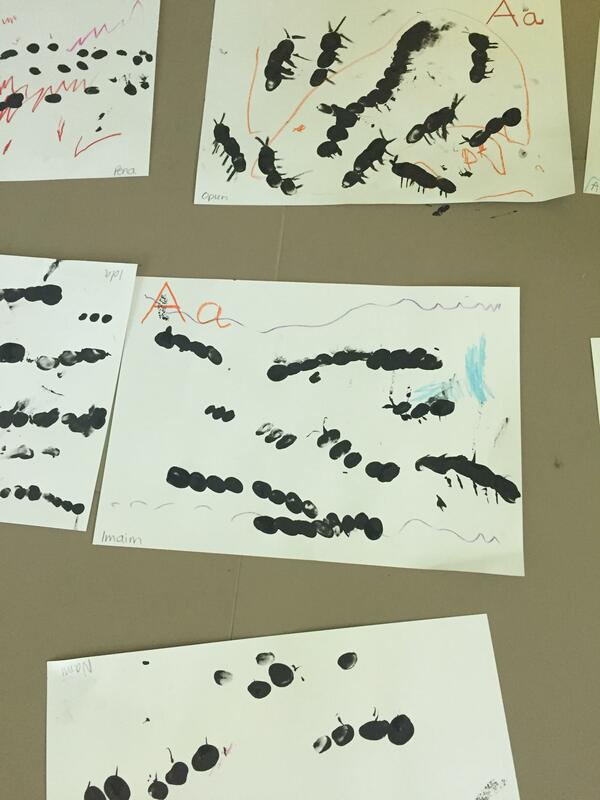 Unlike the K1 students, K3 kiddos focus on two letters/sounds a week, and work a bit more on writing letters and blending sounds together. It's a nice way to break up my week and spend time with a different group of students. They continually surprise me with their knowledge of English. Phew, my mornings are busy... but after 11, I have a nice break until lunch at 12:30. This gives me time to take a bit of a breather, maybe have a snack, and then prepare any crafts, games, or activities for the week or upcoming weeks. I'll also use the time to check over students' papers and worksheets. From 12:30 to 1:30 is our lunch hour at school. 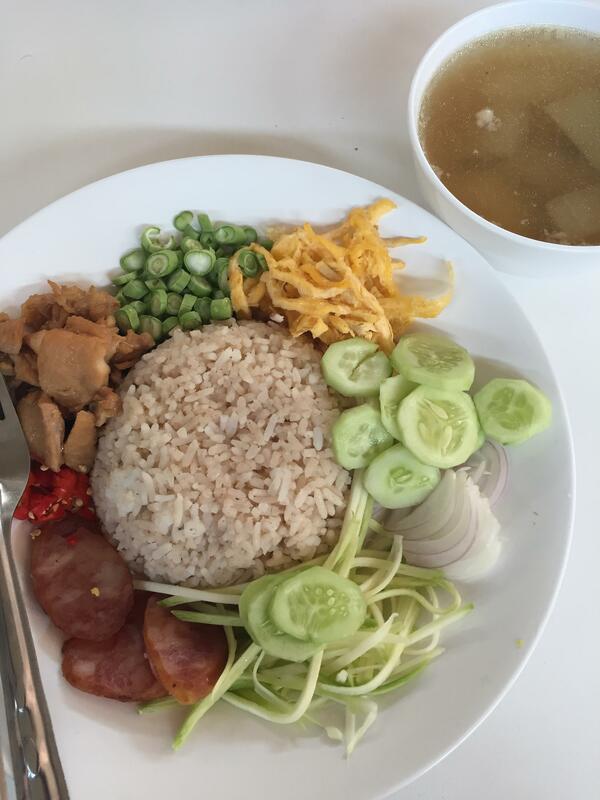 The school prepares a variety of healthy, fresh Thai food for free every day. If you know me, you know I will never pass up free food. Tuesdays are usually some sort of noodle dish, Wednesdays are always vegetarian, and the rest of the days include several meat and vegetable dishes with rice. All the teachers and students eat together in the school's open-air cafeteria. It's a nice way to see students and catch up with other teachers. My afternoons are, thankfully, quite light. Four times a week, I co-teach an upper-level English skills course with the grade five and six students. These students are at the top of their class in English, so we focus on researching, writing essays, and presenting. This half of the term, the students are writing about countries in Asia. Since most of the students are familiar with other Asian countries, it's been a great way to get them comfortable researching and writing. In addition to these classes, I have an "after school" class two times a week, from 3:00 to 4:00. Since I can't leave school until 4:30, this isn't really "after school" for me, but rather an additional class. 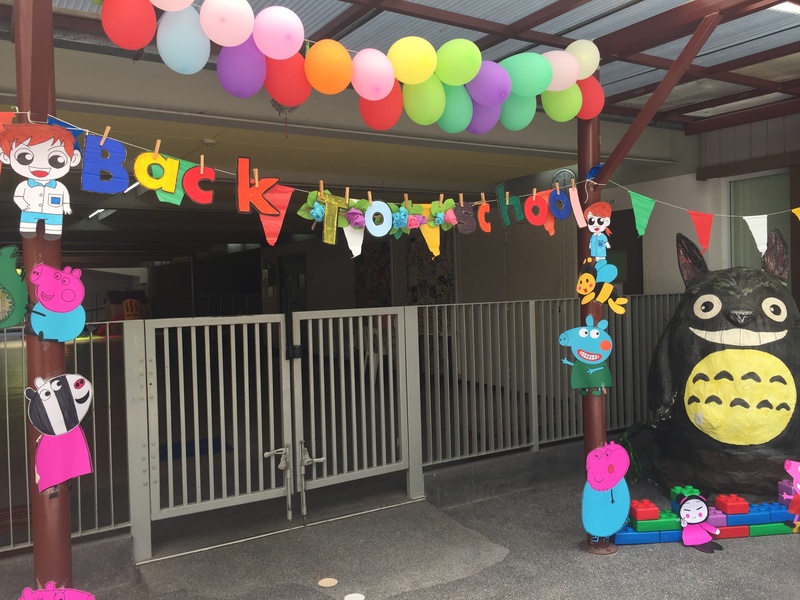 I have my K1 students for after school, so it gives me time to get to know them better and spend time with them in a more fun, relaxed setting. For this after school class, I've planned different themes that change every three weeks. Every class, we'll warm up with songs and dance and then work on a craft that falls under the theme of the week. Once the students finish their craft, I'll read them a story that continues with the theme. 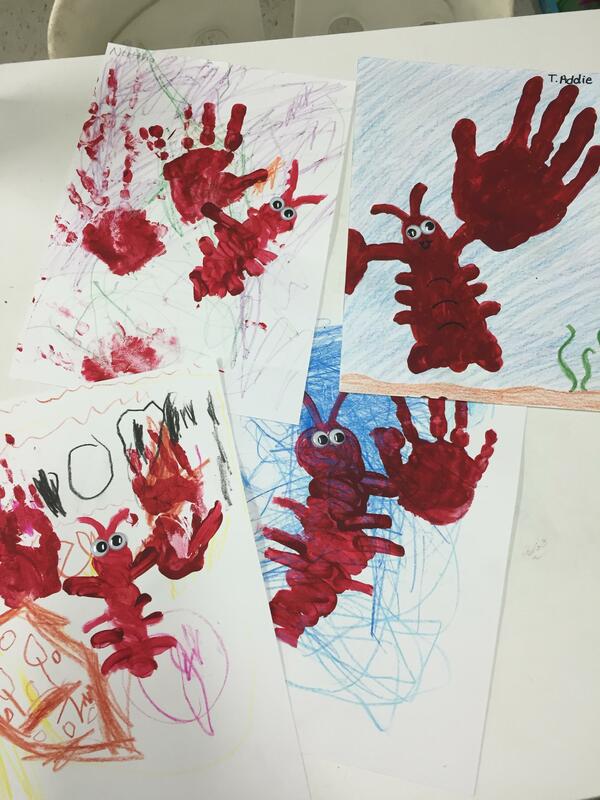 For example, for my "Under the Sea" theme, I had the students make handprint lobsters one class and paper fish puppets another class. 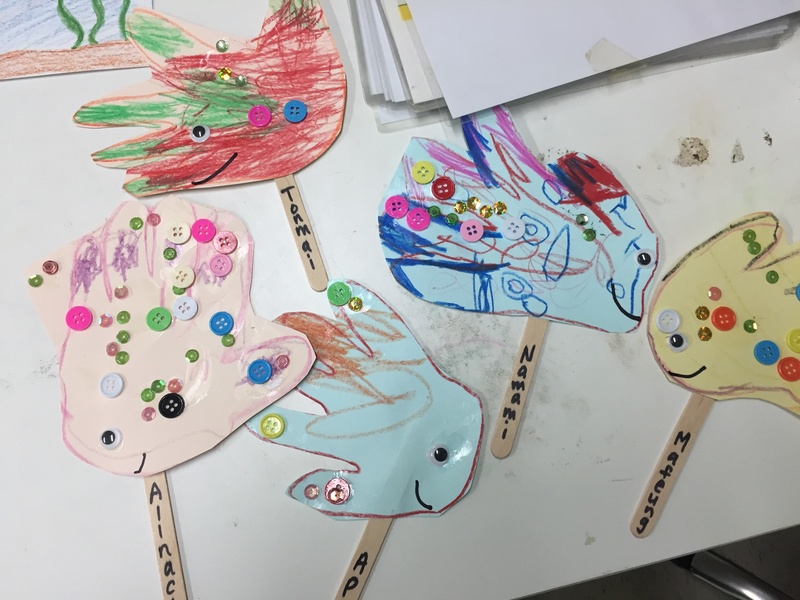 In addition to the crafting, we sang songs about underwater animals and read several stories about the ocean. If I don't have any after school classes, I'll do a few last minute preparations for the day ahead. Then, it's out the door at 4:30 and back home. During the week, Justin and I usually stay in our apartment, cook dinner or eat dinner out (it's crazy cheap in Thailand, by the way). Our days are quite busy, so we rarely make any big plans during the week. Once I'm home, I like to end the day with a short yoga session when I can— it's a nice way to relax and unwind after a day with crazy young kiddos. While I wish I could spend every day on a Thai island, sipping fresh coconut water AND getting paid for it, that's not my reality. Most days, I'm at school. I work hard, and save as much money as I can so I'm able to travel when I can. Despite not being able to travel as much as I'd like to (I mean, wouldn't we all like to travel more? ), simply living and teaching here has been a wonderful way to immerse myself in the Thai culture and meet so many great people. I'm incredibly thankful to have these opportunities every single day. Do you have any questions about teaching in Thailand?